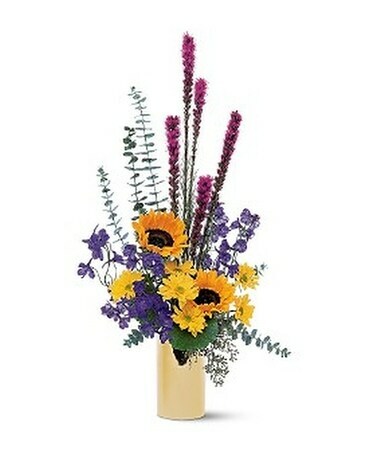 This striking arrangement of yellow, blue and pink flowers will send just the right spark to that special someone. Perfectly suited for a man or a woman. Chrysanthemums, sunflowers, liatris and delphinium delivered in a reflective vase.